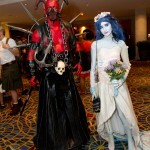 In terms of cosplay at fan conventions, Dragon*Con is by far the cream of the crop — so much so that I barely pay attention to those who dress up at San Diego Comic-Con and San Francisco’s WonderCon. 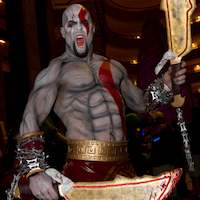 For instance, the guy decked out as Kratos from God of War stood a good 6 1/2 feet tall and painted every inch of his exposed skin. 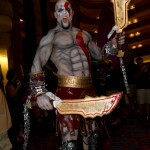 Unfortunately for those who prefer the masculine of the sexes, Kratos is not the norm among men. 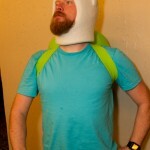 Most male geeks who dress up opt for costumes that don’t celebrate their gender in the same way that their female counterparts do. 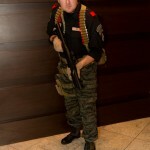 Still, Geeks of Doom photographer Derek Deweese staked out the entire convention area to find some of the best at this year’s event. 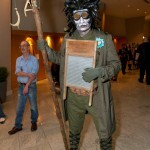 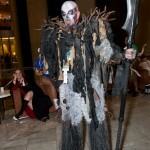 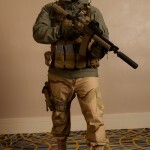 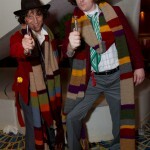 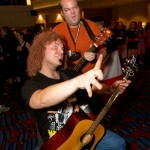 Check out the thumbnails below for 20 Men of Dragon*Con. 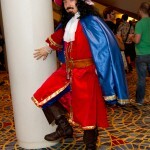 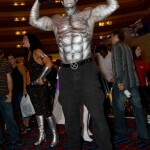 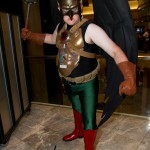 Also, check out our earlier posts featuring this year’s Cosplay Babes of Dragon*Con: Part 1 & Part 2.